Frito Lay is an American food manufacturer synonymous with “snack food” made popular beginning in1961. It is owned by PepsiCo and had worldwide sales in 2009 of 1billionUSD. There are over 50,000 employees including those at the over 30 plants worldwide. To reach Consumer Relations call 1-800-352-4477 or look here. To contact President and COO, Vivek Sankaran, address an envelop with 7701 Legacy Drive, Plano, Texas 75024. Founded in 1930 Frito merged with HW Lay in 1961 and with Pepsi in 1965. Frito has a solar plant in Modesto, CA and has social presence on Facebook, Twitter, Instagram and Pinterest. Yesterday I purchased a bag of your salt and vinegar chips. 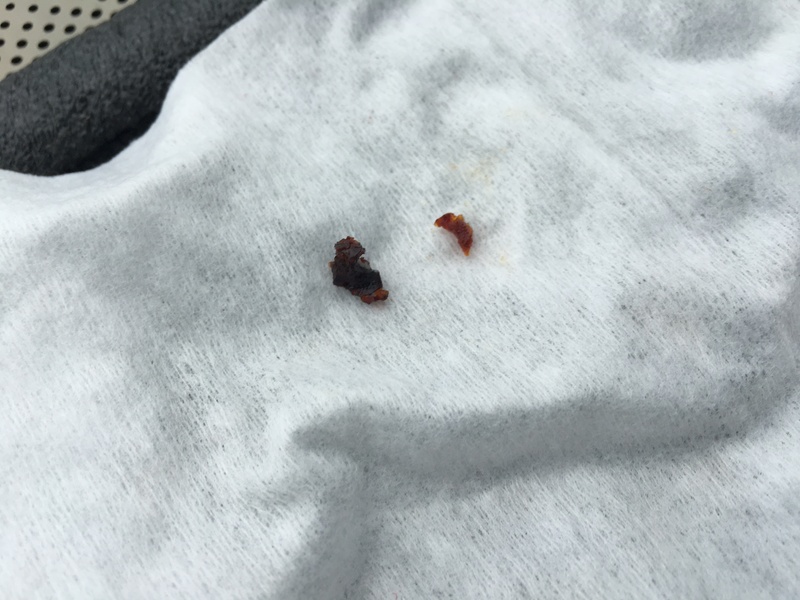 My daughter bit into a big piece of clear thick plastic and cut the inside of her mouth. Below are photos of the plastic. Id appreciate if someone would contact me as to what this could possibly be. 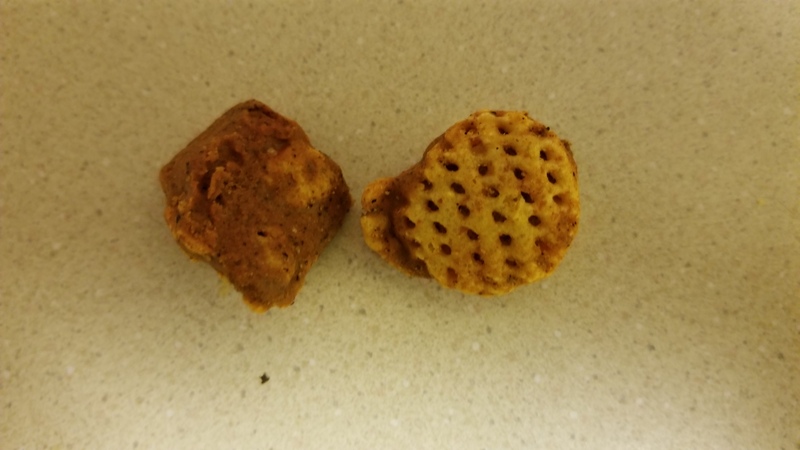 I purchased a bag of Lays Original party size chips and over half the bag was burnt. Image attached. I love the flavor of your chips,but when I buy a bag the chips are like crumbs and I will switch and be dissatisfied with the ones I choose and try your chips again to be disappointed again because they are crumbs. And can't even dip with. I am not one to complain but over the years of back and forth I have chose to wright you because what you don't know you can't fix so here it is the best chip in my book is still yours but I want buy them any more because it is a waste of my money. So thank you for listening. I purchased a family bag of Barbecue Potato Chips (9 1/2 oz.) but unfortunately the chips were hard and not fresh and the Barbecue was horrible. 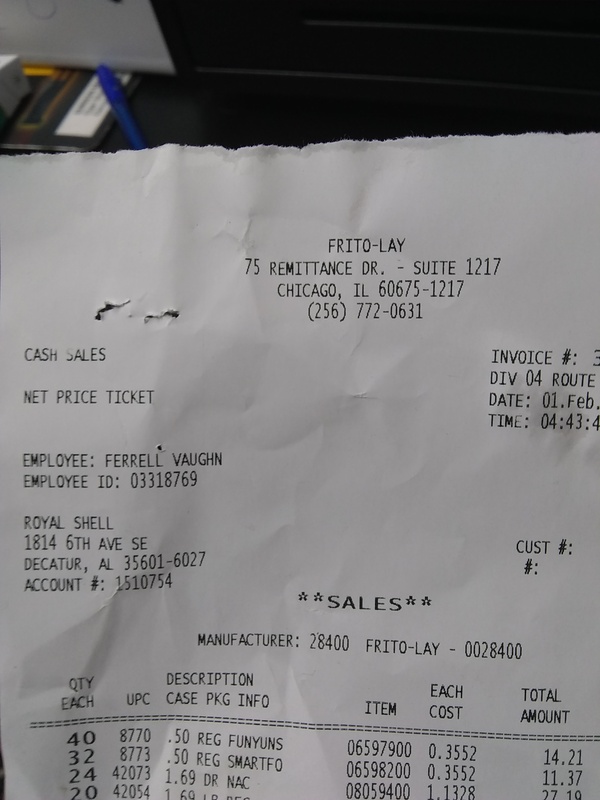 The Bar Code # is 0-28400-645249, the cost was 4.29 and the Guaranteed Fresh # is 1Jan2019 227230302 85 17:08. I am asking for a refund for this product. I love your multiple bags of goodies. However, I noticed today you have decreased number of bags from 20 to 18. And the price? I bought a bag of Family Size Fritos, they were hard and clumper together we couldn't eat them. I got them at Wal Mart in Searcy, AR. I have attached a picture. 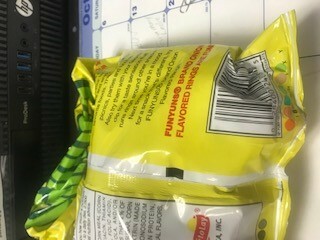 I purchased some FUNYUNS ON 10-6-18 with an expiration date of 11-20-18. The FUNYUNS were over fried. You could tell in the color of them that something was not right and the taste was not great at all. I ended up throwing out the whole bag out because it was not worth me returning the product to Harris Teeter based on the distance I would have to drive in comparison to the cost. 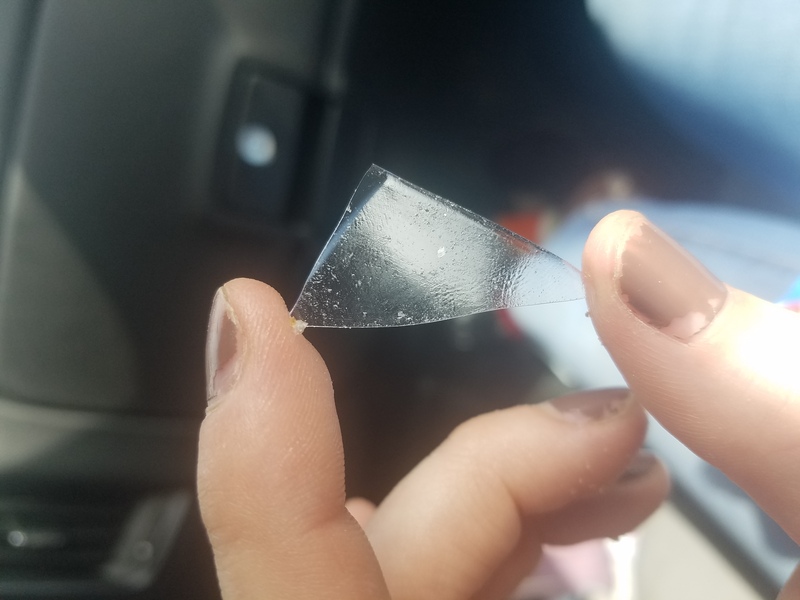 I purchased a bag of Dorito Lime chips and there was a thick piece of plastic. 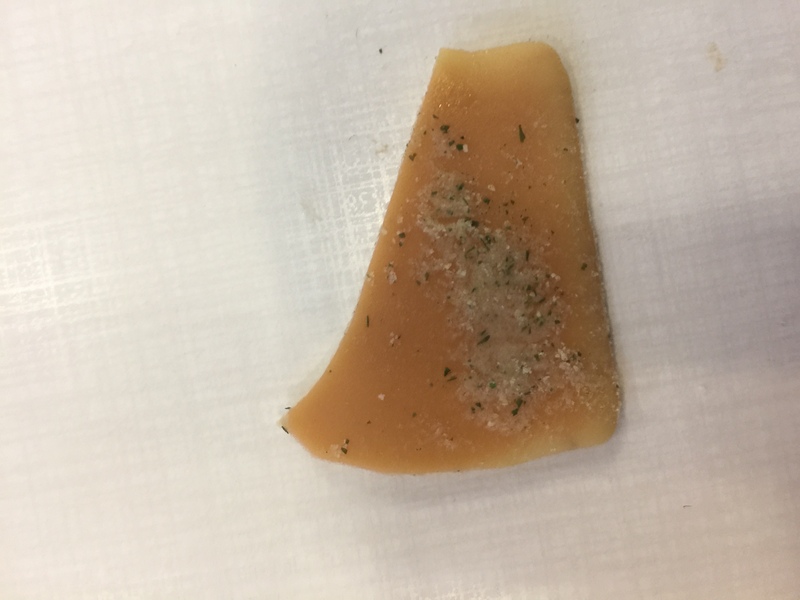 It looks like a chip it has seasoning on it. please stop putting majority Frito lay corn chips in the variety box, not only my self but other mothers complain how our children are being wasteful because they don't like the corn chips, but you like what you like, and if you don't, you just don't, therefore I believe it is an issue, please try and resolve this by breaking it down to a point where the least favorite either has less count and or just don't put them in there at all, just saying my family purchase this item daily on our grocery list monthly,so it would be great!! if we could possibly replace that particular flavor, thank you for taking the time from your busy schedules, to review my little complaint. Party size bags of plain potato chips, purchased at Walmart in Cheraw SC I keep saying I am going to stop, as I end up throwing away almost the whole bag. They are crushed, not hardly any whole chips. So disappointing for us. I don't know what could be done, perhaps start putting them in cans like Pringles? This would prevent crushing and tossing. I love Frito Lay Products but lately wen I purchase you all products they are either stale or been open!! !This include chips,sunflower seed and peanuts!! Do not like the taste of Lays chips anymore. You change the cooking oil and they are very bland. If the government want this let them buy your products. I am an uber fan for your Chili Cheese Fritos and have not had a complaint until now. I just purchased a bag of Chili Cheese Fritos and what is in the bag are regular Fritos. I still have the full bag with me and was wondering if there is any information from the bag so that the rest of your uber Chili Cheese Fritos Fans do not have the same disappointing experience as I did. Thank you for taking the time to listen to my complaint and I would welcome many free bags of Chili Cheese Fritos!! This is what's going around the internet. It is so very true I picked up a bag of potato chips the other day and shook it and said no way in hell am I paying $7 for about 30 chips. I purchased a party size bag of lays classic chips for the first time. What a disappointment the bag was 15 1/4 oz. and there were hardly NO full size chips they were all crumb like pieces. I had to run out and get another bag of chips for my party because I couldn't serve them. I did buy another brand and was 100% satisfied. On the back of the bag was this UPC # if this helps. 28400 64474. One of your employees Gregory Sly Chick works at the fritolay in Fayetteville tn, he is a drug user and seller of heroin and pills and weed. He has ruined my daughters mothers' life because of this. I dont understand how he can keep a job there at this place, he always on his phone or in the bathroom at work, and from my understanding he is supplied by other employees there. Maybe its because his dad works there i dont know, but i do think you need to look into this and maybe do more drug testing. I love the texture and the taste of your Tostitos. However, I bought three bags of your Tostitos Scoops for a party and unfortunately 50% of each bag contained whole scoops. 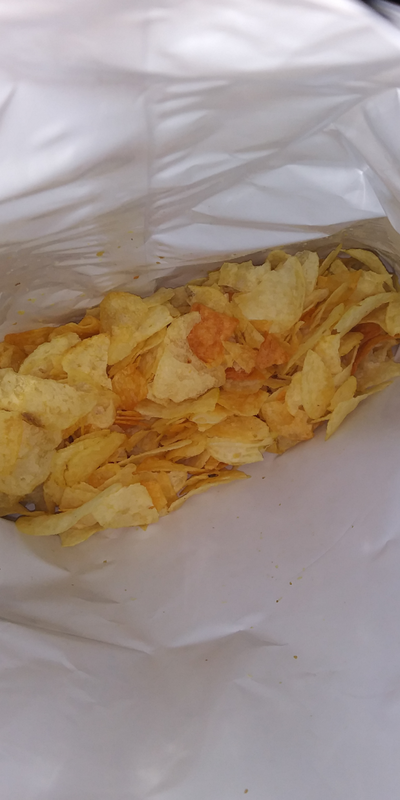 The other 50% of the bags looks like a bags of corn flakes the scoops were crushed and broken into pieces. This isn't the first time I experienced this problem. I doubt if I'll be buying your products in the future. Last month Big Lots had a sale Mix and Match Frito Lays Chips 3 for $6.00, I bought 2 bags of Cheeto's and 1 bag of Chips for $6.00. and 1 bag of Chips and when I get to the check-out they tell me its only the Cheeto's that are 3 for $6 and they are not responsible for the sign. This is the Big Lots in Webb City Mo. I opened a bag of chilli cheese fritos and it was completely crushed. I am a lifelong customer of frito lay and the last year of purchases for kettle cooked potatoe chips has been a disappointed experience. I love the chips but the amount of bad and burnt chips has made me switch brands. Someone has really dropped the ball in quality control. Sorry but I thought you should know. Gave my kids chips as a snack today and my 1year old daughter pulled out a soft and moldy cluster of chips from a bag of Doritos. It was completely disgusting! It looked like a chicken wing. Freaking mortified. I checked the bag I purchased as well as the individual product and the freshness date was set for next year. I am in disbelief that you guys sent out such a terrible product to purchased and consumed. I confiscated everyone's chips and had to endure the cries of all the kids. They were disappointed as was I. Shame on you Frito Lay. While visiting your store in Hampton, AR on 10/31/16 I was treated very rudely by store worker Derrick Stevens. The young man exhibited a rude and very disrespectful attitude when I question him about the purchase of 2 products that were posted to sell at 2 for $4.00 Lays Cheetos. I selected those two items and a $2.95 bag of Lays Potato chips. When the items rang up it registered $3.00 per bag for the Cheetos. When I attempted to explain to him that the sign did not state that I was told that because I purchased the Lays it cancelled the sale price for the Cheetos. Now I must tell you that did not make any sense but Derrick became impatient and kept saying it did. I paid for the items and returned to the store and gave him a copy of the ad that said specifically Cheetos by 2 for $4.00. I was told to hurry up and leave. Apparently good customer service is not high on this young mans list of his duties. Because I had not noticed his name badge I called him "Son" he became very up set and told me very rudely "I am not your son". I acknowledged my error and proceeded to call him "Young Man". I returned all of the items I had purchased and left the store. With people who do not exhibit any professionalism in the performance of their duties I for see many problems with sales at this store. I purchased a bag of Family bag of chips at Walmart and they were grease stuck to each other and were hard to chew. The chips would be like little balls and hard to chew. Most of the chips were folded and tough to chew also. 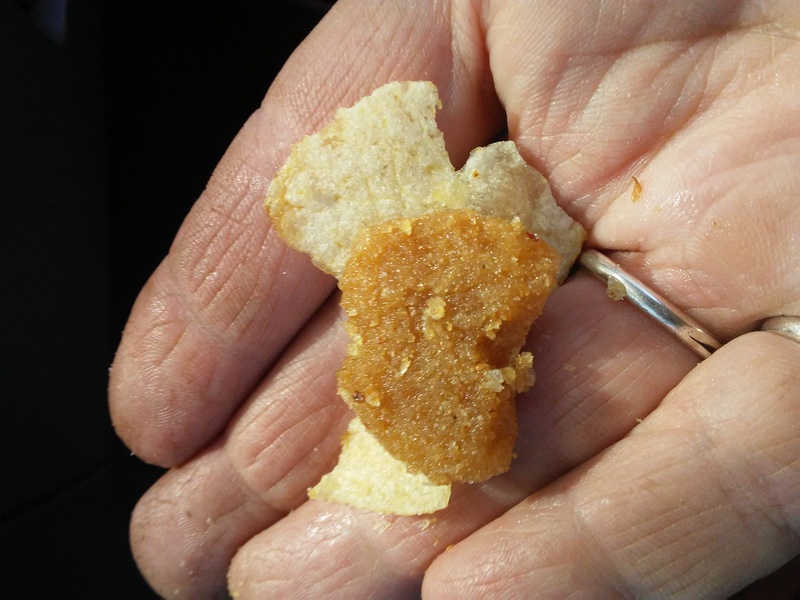 I have been using Frito Lay products many years and this was not the quality I was expecting. I purchase 2 or 3 bags per week and not to many complaints till now. 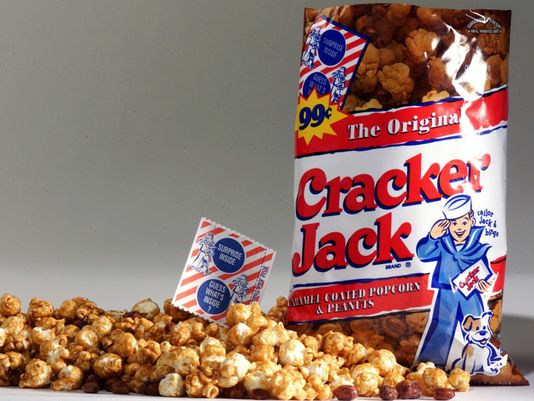 As a youngster I loved these cracker Jacks that we brought. But now they have little to hardly no peanuts in them. I purchased several 4.125oz. bags at my local CVS store and was very disappointed. Why have you changed from the way you use to package your products filled with all the childhood taste and goodness I remembered. You had plenty of nuts in them then. I think I may have counted at least 30 nuts and not all whole ones in the 3 bags I opened and I am very disappointed. Daughter came up from 2 hours away to visit this past Sunday and bought at Dollar General in Centerville several items for me(home bound) including 3 bags of Lays Classic Family size potato chips. She left for her home and on Monday or Tuesday I opened a bag and "lo and be hold" they had a different taste(not fresh) than the norm. Looking at the bag, I saw it was JUL 26 so I checked the other two bags and one was another Jul 26 and a SEP 6(yay finally). I opened the other JUL 26 and same thing - not fresh so I finally opened the and they were fine. Yes, I do agree the taste has changed lately so they definitely are doing something different with the chips to abuse their customers. Anyway, the SEP 6 bag was fine (taste still off from what it should be). Finally felt like calling Frito Lay today telling them of this and she said the driver was NOT in error stocking the (in my opinion) stale dated chips- so close to the expiration date. That is a crock of nonsense as "Guaranteed Fresh Until Printed Date" is not true. Besides who wants to buy chips that will become stale dated until use shortly after purchase. Frito Lay is abusing their long time customers and apparently DO NOT CARE. 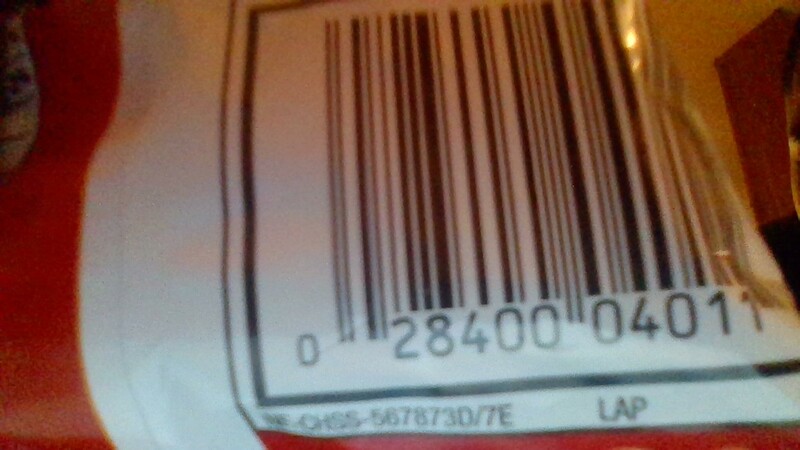 So customers - look at the expiration date and change brands perhaps as these potato chips are not what they use to be. No customer appreciation so they need to lose loyal customers changing up cooking method or whatever plus stocking chips that are only a few days away from expiration date. Purchased several packs of 1 1/8 oz Frito Lay chips. Upon opening the Cheetos crunchy, I found they were so stale they could not be consumed. I purchase these on a regular basis and have never had these issues. The best by date isn't void till July 12. I have enjoyed your Frito Classic chips for years, but, recently I have noticed a change in the flavor of the potato chips. It seems to me you are using a different oil, and the taste is Not pleasant at all. The date of the bag is July 12/16. Hoping you go back to your original recipe or improve on it. Maybe I should write a letter and voice my complaint with Frito corporate? I bought a ready go 6 pack of Lays Classic and the packaging material was melted to the chip bag. I bought a family size bag of lays potato chips and the bag was not even half full. 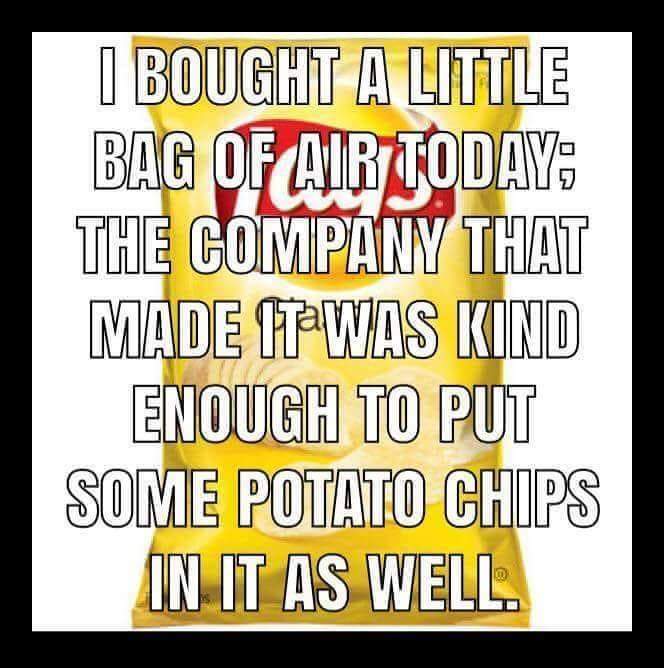 the bag was mostly air. I tried many times on their web site and all that happens is I fill out the questions and it kicks me off the web site. I recently purchased the small pkgs (2 for a $1.00) which I have purchased many times before. 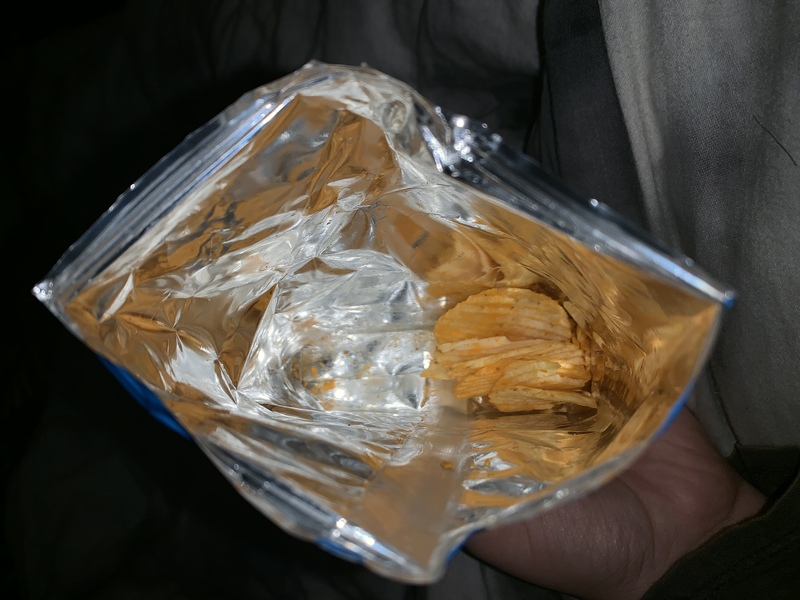 I am a single person so cannot use the larger pkgs but both pkgs had only 7 chips in them and only four were not broken I really like fritos but cannot afford to buy them with only 7 chips. We purchased two 9oz. bags of Cheetos to bring to a party, me and my wife were invited to, with many of our friends. The hostess is my wife's best friend, and was thankful for our contribution to the party food. During the course of the next hour or so she placed them in a bowl and set them on the food table for all to enjoy. About 5min. later my best friend took me aside to inform me the Cheetos were horribly stale. I immediately took them off the table and apologize profusely to our host and hostess. Myself and my wife were simply mortified. We will think twice before purchasing any frito lay products again and will be sending our complaint on to the frito corporate office. I purchased a bold mix 20 singles bag. 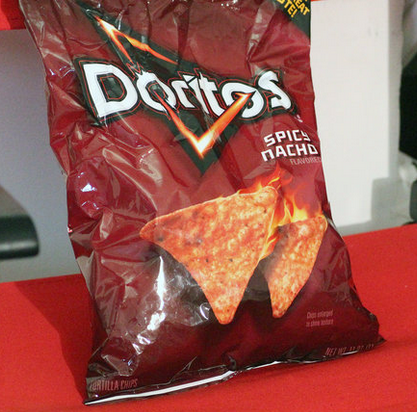 As one of my kids opened up a bag of the doritos spicy nacho, he noticed it smelled of cigarette smoke. Ive never had to complain until today. I'm very upset at this display. I don't have money to waste. Please tell me what can you do to help me out. My complaint is the size of your new rollout with the potato chips. Smaller size and paying more. My favorite chip and now will be looking for a replacement. Once again the consumer is getting screwed. My hope is that you will in time feel the effects of this new rollout and not in a good way. When I see people picking up a bag of your chips I point out to them just what they are getting and show them the price they are paying, then direct them to another brand. I love something crisp and fresh every evening and Frito Lays is something I can binge on. I keep buying lots of lays, Cheetos, ruffles as I really enjoy the crispness, flavor of them. Frito Lay has attracted its customers by making this very fresh, packaging is neat, nothing torn. Baked items are always better than fried oily ones. And Fritos understands the people cannot compromise on taste and made this without frying. Lovely taste. Great snack items while going travelling or getting together with friends or just having it for yourself. 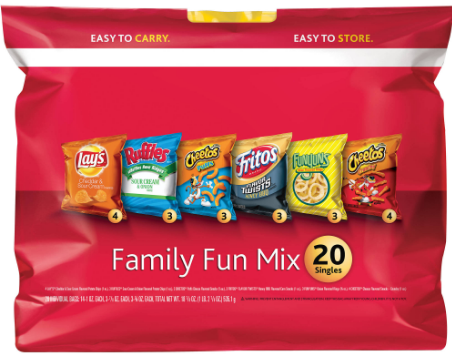 Have feedback for Frito Lay?